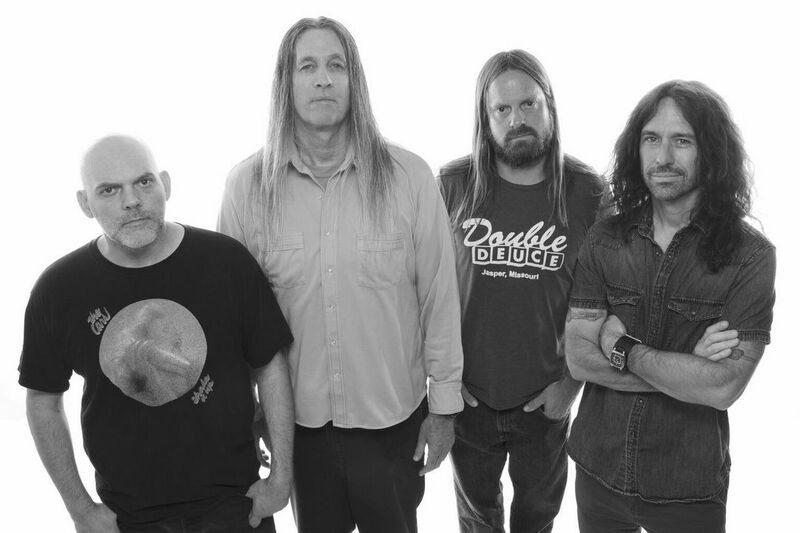 Stoner rock legends Fu Manchu recently released their latest album Clone Of The Universe. Frontman Scott Hill fills us in on the record, the guest appearance from Rush’s Alex Lifeson and other topics in this brief Q&A. Chad Bowar: Was there anything unique about the songwriting process for Clone Of The Universe compared to past Fu Manchu albums? Scott Hill: We have always come up with new songs the same way ever since we started: riff first then everything after. The songs came together very quickly. We had a lot of songs to choose from and we felt like we picked songs that we could play every night. Your last album ended with a nearly 8 minute track. This time around “Il Mostro Atomico” is just over 18. What inspired you to start composing longer and more complex tracks like these? The 18 minute song came about as a result of having a lot of riffs/song ideas that we didn’t want to get rid of, but combine into one long song that would be the entire side 2 of our record. We don’t do a lot of long jamming type songs, so this is something new for us. How did Alex Lifeson’s appearance come about, and what did he add to the finished product? Our manager is friends with his manager and a simple “would Alex be into recording some guitar on the new Fu Manchu record?” He contributed a great guitar part and some sci-fi type feedback parts and even a pick slide. He made that song! What’s your favorite Rush album? My favorite RUSH record is Rush. ”Working Man” is a great song! Is there a lyrical theme or thread running through the album? No main lyrical theme, but a lot of sci-fi space exploration/different situations. You’ve released your last couple albums on your own label. What are the pros and cons of doing it that way? Completing a record from start to finish is very satisfying! When the LPs arrive and you are holding it in your hand is a good feeling. Coming up with money to do it all is the only bummer. With the state of the music industry today, how do you evaluate the success of an album? Do you like the current promotional process with releases of behind the scenes studio videos, audio streams, lyric videos and videos months before an album comes out, or do you prefer when maybe one single was released a month before the album? You have both European and North American tours coming up. How does your popularity/awareness/venue size compare between Europe and here? Both the USA and Europe are great. We have fun playing to 20 or 2000 people. You did a reissue of California Crossing last year. Are there plans for more? Maybe. We are trying to find the master tapes for our Start The Machine record. That is our only release that has not been put on vinyl. Are there any albums in your catalog that you think were overlooked or underrated when released, but in retrospect stand up very well? No. Certain memories from all the different record sessions are what matter to me. I can remember them all. Seen any good movies or DVDs lately? I did watch the Stranger Things series. I liked that a lot.